Think Nebbiolo and hopefully your heart flies to Barbaresco or Barolo: famed homes devoted to the grape. Their wines range from light yet tannic, austere yet floral, to rich, dark, and chewy. They are usually complex, age-worthy, and deservedly expensive. But unknown to a world before DNA, Nebbiolo spread its fingers up valleys, reaching into the Italian Alps. It crept into land-locked Lombardy, rooting in the canyon valley of Valtellina. Steep…that yellow line on top is Switzerland. 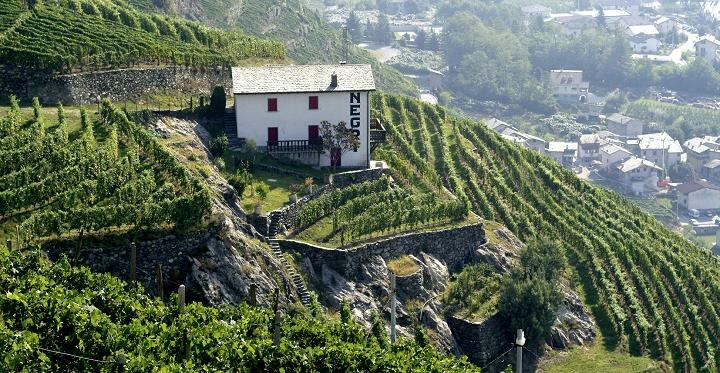 Today’s winery, Nino Negri, is a 20 minute drive from Switzerland. 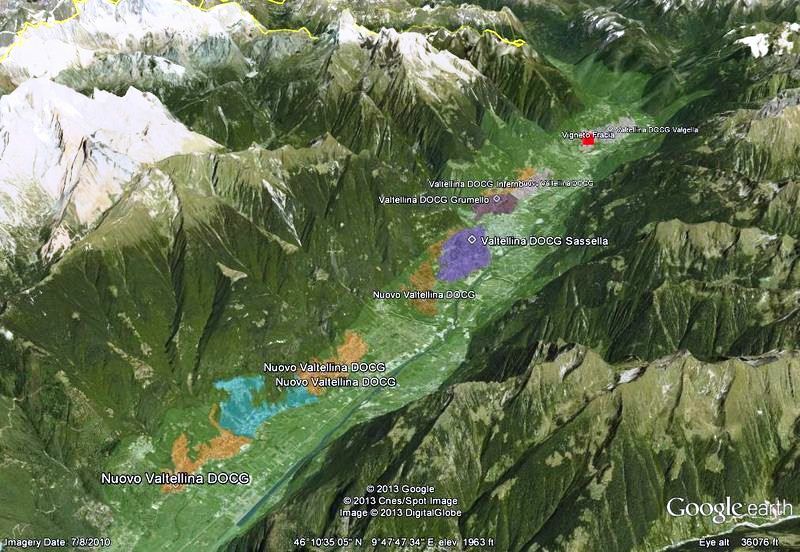 Their vineyards span a 25 mile strip of Alpine terraces reaching 2,400-3,000 feet above sea level. It is so steep that once hand-harvest finishes, a helicopter has to lift grape crates to the winery. Founded in 1897, Nino Negri has thrived since 1971 under Casimiro Maul. I met his daughter Sara yesterday. She loves defending his work and wines. Nino Negri’s “Quadrio” (named after the 15th century castle it ages in). This 2010 is 90% Nebbiolo, softened by 10% Merlot. 18 months in massive 80 hl Slavonian oak vats age it to readiness. But how does it fill the glass? Nice day for a Nebbiolo. Appearance: The wine looks a medium intense, clear, garnet color. It is dusky, rusty, but pretty. 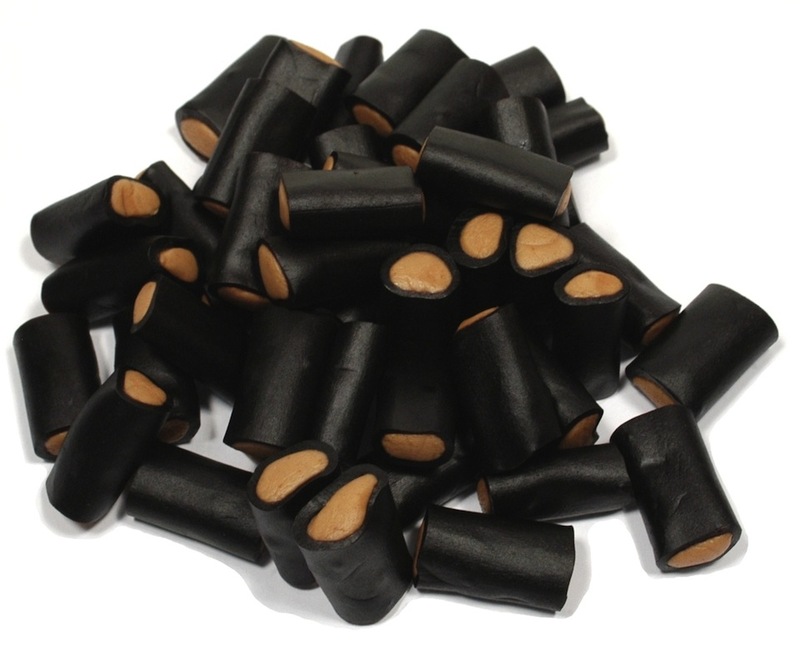 Aromas: Moderately intense aromas of dried violets, black tea leaf, brown licorice, and wood hide a core of black bramble fruits, plum, and orange peel. Palate: A dry, tannic, acidic grip holds the warm, medium body in check. When compared to most Nebbiolo, this may feel pillowy thanks to the dash of Merlot. But that’s the point. Still the taught, chunky texture is undeniably Nebbiolo. Flavors: A rush of spices, licorice, wild berries, dried fruit and florals wash forward, reach a decent height of pleasure, and then fade me into a clean barn of well sanded wood. Its warm light is passing. Tidy animals crunch slowly on dry gold hay. 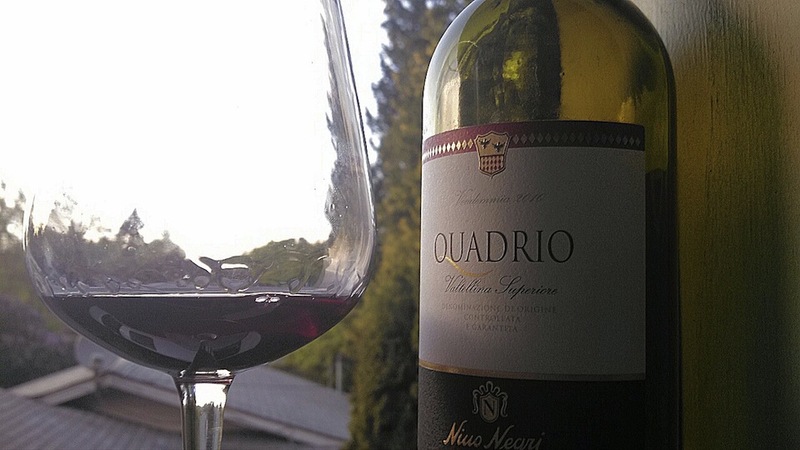 Conclusions: Nino Negri’s Quadrio won’t please Nebbiolo purists. But its goal is get us on board. It does so quite well. This is very good wine (4 of 5) for under $20. It manages that tough balance of being drinkable alone, yet remaining structured and interesting. Have it with appetizers and lighter fare, for heady sauces or spices will overwhelm it. Well done. This entry was posted in Uncategorized and tagged DOCG, italy, nebbiolo, Nino Negri, Quadrio, Valtellina Superiore. Bookmark the permalink. Enjoy Nebbiolo’s, now I get to picture where they come from when I try them. I true departure from the rest of the world! like any grape, nebbiolo is entirely about place: be it Cali, or Piedmont, or Lombardi, each region brings its own influence.